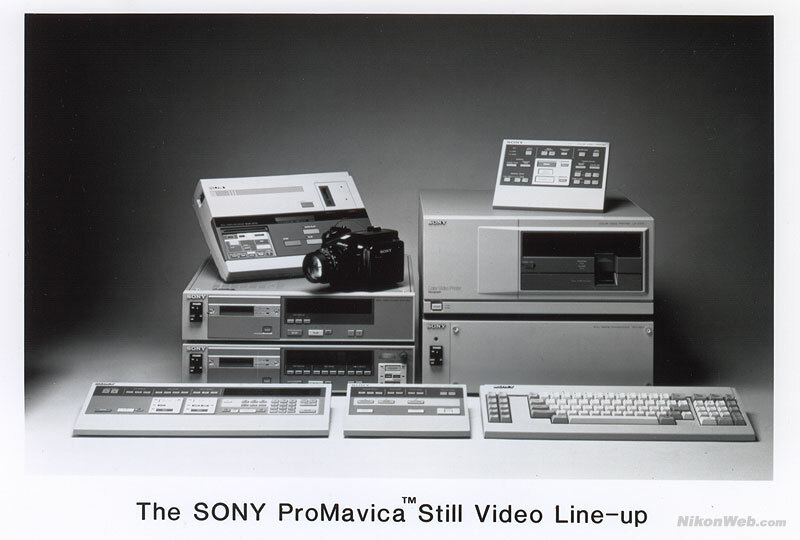 The Sony ProMavica MVC-5000 was a still video camera introduced by Sony in 1989. The camera had two CCD sensors, one for the luminance (Y) signal, and another for the chrominance (C) signal. The camera came with a 13x 9.5 - 123.5mm zoom lens (MCL-913T) and could also mount Nikkor lenses using the optional MCL-200N adapter. Using an optional digital image handler (DIH-2000), photos could be transmitted over regular telephone lines. The camera also came with a built in microphone. Like other early still video cameras, the MVC-5000 didn't have a LCD screen, but photos could be reviewed using an external monitor connected to the camera's video out port. Images were stored on a two inch video floppy disk. 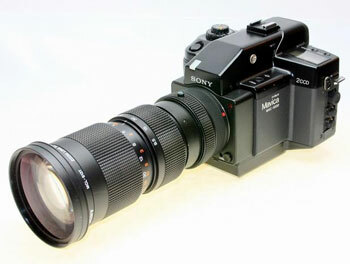 The MVC-5000 was NOT used to capture CNN's famous tank man photo in Beijing in 1989, as reported by several other sources. Click on the link below to read the true story behind the historical photo. Sony MVC-5000 photos by eBay seller and NikonWeb.com forum member nsxdream. Body serial no. 10141. Visit nsxdream's eBay store. Sony MVC-A7AF press release photo. The predecessor of the MVC-5000 was introduced in 1987. 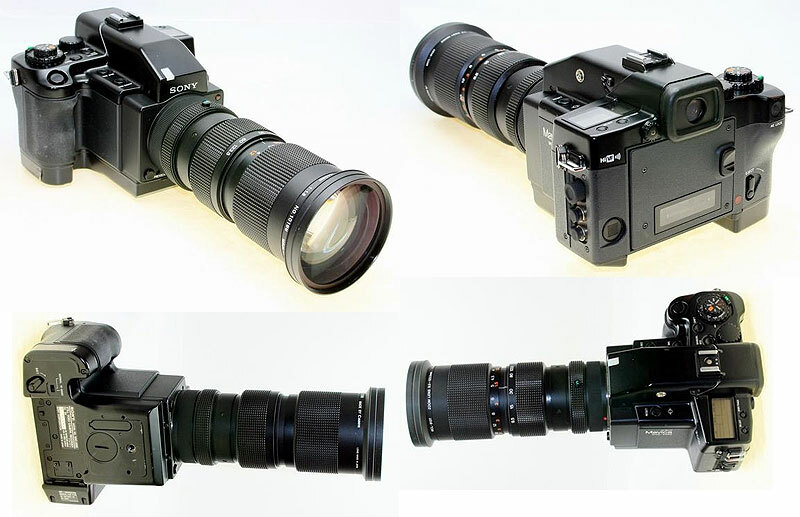 The camera cost $3995, while the SFU-1000 Still Image Transceiver sold for $15900.